With the weekend now behind us we’re resuming the rollout of this list, beginning the 6th week of the trek, with a self-imposed stopping point looming closer (by the end of this month, and possibly earlier — not sure which, since I haven’t finished compiling the list). I’m very happy to say that we’ve been backing this Colorado band since long before they became household names — and if they’re not yet at household name status, they can’t be far away, after three such exceptional and broadly appealing albums — Absolution, Hunted, and now Desolation. 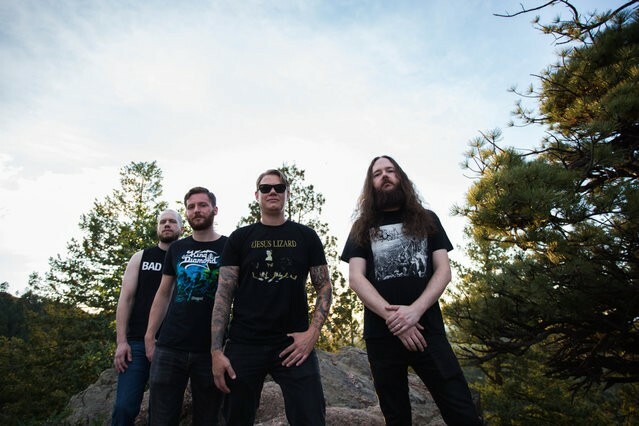 Among the core group of NCS writers, Andy Synn was the last to tumble to how good Khemmis‘ music is, though he tumbled pretty hard once he gave it a chance following the band’s performance last year at Maryland Deathfest. “All metaphorical meta-commentary aside, however, it’s hard to see how anyone could come away from listening to this album without finding at least something to love about it, as the band’s sound touches on and embraces so many classic, fundamental elements of Metal – melding moody, doomy grooves and swaggering Trad-Metal riffage with a bevy of artfully progressive touches and extravagant melodic hooks – that it seems almost tailor-made for massive, and far-reaching, success”. Yet I’m in complete agreement with Andy that Khemmis do all these wonderful things without ever feeling like the music is rooted in anything but a sincere love of the genre. “They’re not – like so many before them – simply paying shallow lip-service to ‘classic’ Metal tropes while desperately capering for mainstream attention and validation. They just happen to have written a proper, blood-and-thunder, horns in the air, Heavy Metal album, which has all the inherent potential to make the band into a household name”. 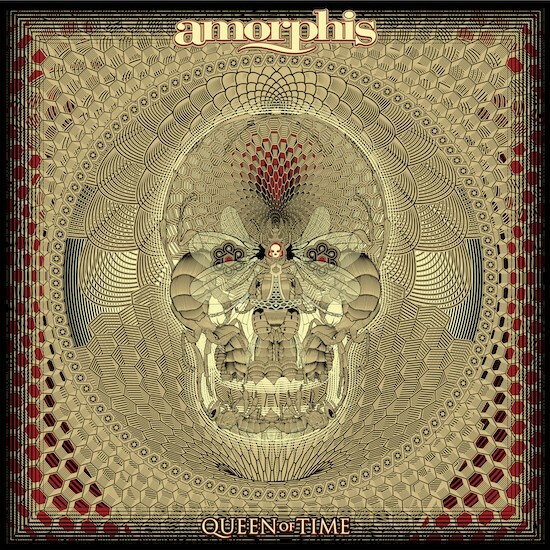 We failed to review the latest Amorphis record, Queen of Time, though it did earn a place on the list of 2018’s Great Albums posted by Andy Synn, who called it “arguably, one of the best albums of the band’s career, or at least the second half of it”. Lacking a review of our own, I’ll direct you instead to the one at Angry Metal Guy, with which I find myself in agreement — that Queen of Time is very good, very recognizably within the distinctive mold of Amorphis‘ sound but drawing in dimensions of music from other sectors, and loaded with memorable melodies in a hefty framework. I had a bit of a tussle with myself over which song to choose for this list. There were several worthy candidates. Until just this morning I had decided on “The Great Elk“, with its alluring Arabian melodies and a solid dose of Tomi Joutsen‘s growls. I had moved in that direction, and away from the song that I really think is the most infectious track on the album — “Amongst Stars” — because this list is ostensibly devoted to Extreme Metal Songs, and the latter is probably the “poppiest” and most cleanly sung song on the disc. But goddammit, the combination of Anneke van Giersbergen‘s rendition of the glorious chorus and Tomi Joutsen‘s mighty roar of “Rise!” never fail to send tingles up and down my spine, and after listening to “Amongst Stars” one more time this morning, I surrendered to it — for the umpteenth time. I am still particularly proud of that Khemmis review. I think it came out really well. 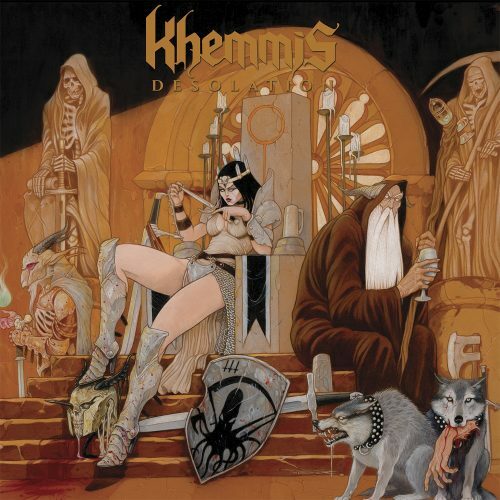 I must say that I’ve never been particularly fond of the style of music Khemmis play, but man, I gotta admit that Isolation is catchy as hell. As for the new Amorphis album, I consider it (together with UTRC) the absolute top of their career. Not sure how long they’ll be able to keep this quality, before they start being too repetitive or change their sound in the Wrong Direction (pun intended). And it’s a shame that you chose this song instead of “The Golden Elk”, which is (at least from my point of view, of course) much more “infectious”.